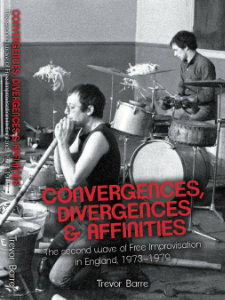 Convergences, Divergences & Affinities: The second wave of Free Improvisation in England, 1973–1979 is Trevor Barre's second book exploring the improvisational music scene in England. This time he moves the timeline from the formative years of the first generation (1965 - 1972) deep into the 1970s, covering the years between 1973 and 1979, covering the rise of the second generation of players and a broadening of the 'scene'. In a sense, he is chronicling a time of change, when the musical revolution of the 60s in which the roots of British improvisation was still energetic and branching out to new venues, new configurations, and beyond London. The Second Generation had some different ideas than the First Generation players. Barre beings up quotes that had been used, like 'insect music', to describe some of Gen 1's music, and credits Gen 2 with reintroducing the heretofore shunned identifiable 'tune'. This was, as Barre says, a marker of the Gen 2 attitude: a refusal of the refusal found in Gen 1's music. 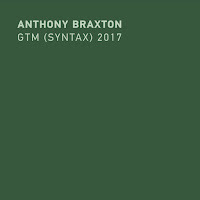 He writes "the gradual reintroduction of these features into free improvisation marks one of the key features of gen two and its influences." 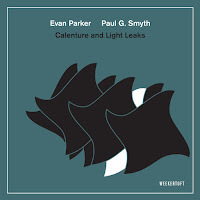 The book spends a good portion of its first half tracing the shifting scene framed through the advance of Gen 1: Evan Parker, Derek Bailey, Paul Rutherford, SME, and AMM are given updates, along with new collectives. Attention is paid to importance of collectives and concert series that settled into new venues, creating a new quilt work of support. This includes organizations like the Musician's Cooperative, (which included 1st Geners like Evan Parker, Derek Bailey, Paul Lytton, and John Stevens) and the subsequent London Musicians Collective. Other folks who figure prominently include Martin and Madelaine Davidson, who founded the essential Emanem label and hosted concerts, as well as Janice Christianson whose Albion Music series was a serious vehicle for Bailey (who later in this period started Company). Newer arrivals, like Turner and Beresford are situated in the history but it's still very much the Gen 1 story. When Barre then transitions to Gen 2, he begins by digging deeper into the work of Steve Beresford, David Toop, Terry Day, Lol Coxhill, the groups Alterations, Three/Four Pullovers, Promenades, and Recendents, and others. He makes a critical decision to also discuss post-punk bands of the day (Scritti Politti for example) and explores the intertwining aesthetics with the Gen 2 efforts. Interestingly, he observes that most of Gen 2's output did not make it into the seminal Cook/Morton guides, which he argues underscores that Gen 2's approach had cross pollinated with other experimental music had moved further beyond jazz then even Gen 1 (though Incus and Enamen did a lot to preserve their work). As Barre gets into the personalities and pathos of the Gen 2 musicians the reader is left with a good sense of the irreverence that many of these musicians shared, along with the tensions that both drove the music and underscored its place in the punk and no-wave world. Just as Barre begins with Gen 1 and ramped up to the second generation, he does the same when expanding the scope to include musicians outside of the core London scene. Drummer and future FMR label head Trevor Taylor, and guitarist Ian Brighton (check) get mentions along with several collectives. The take away is that the spirit of free improvisation flourished around the country, with like-minded folks assembling in their respective cities to create self-supporting scenes. The nature of such collectives is their essential ephemeralness and as Barre points out 'the practical difficulties involved in communication between the various collectives would also have been considerable, in those pre-internet days, with reliance on 'snail-mail.' One begins to wonder though, just how much better is it post-internet? Perhaps the 5th volume, covering the years 1996 - 2002 will begin to explore this topic. Early on, Barre references the release of the Smithsonian Collection of Jazz in 1973 and the rise of the Jazz at Lincoln Center in the 1980s, as a canonization of 'Jazz' and a shift away from valuing creativity and surprise with virtuosity and training. He writes, "the 1970s was perhaps the last gasp of modernism in jazz, as it was in rock. Almost everything subsequent to these years can be described as 'revivalism' of some kind or another." 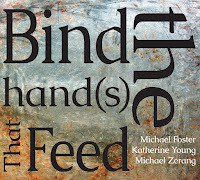 This is not a theme constrained to this publication, for example, the beginning of Michael Heller's recent book Loft Jazz: Improvising New York in the 1970s (which deserves a review here as well), also discusses how this period seems to be where the pioneering free and improvised music made a shift from away from some mainstream focus and major label interest. 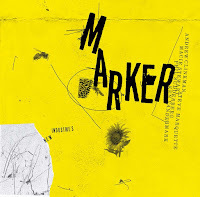 The connection is not lost on Barre who draws this parallel a few times, notably during his lengthy survey of the rise of the rhizomal improviser collectives in small cities throughout Britain in the late 70s existing in concert with but wholly independent of the London scene. He also explore the feminist discussions that arose in the 70s, and the double standards that seemed to apply to the Femnists Improvisation Group, begun by member of both the improv and rock scenes. Pluckish prose and nimble nouns abound. I think Barre is feeling less constrained in this book, volume one felt a little more academic in its presentation, not a lot, but more. Here too, Barre is a bit more apt in looking at sociological and psychological underpinnings inherent in his review of the past, he leans on his professional background in this area to apply concepts and vocabulary from the field, which can be interesting and fun in it's own right. The penultimate chapter sees Barre exhuming his stash of Musics, which was a publication managed by many of the folks mentioned in this review, that was somewhat like a trade 'zine, publishing 32 issues between 1975 and 1979. Here, he speculates on the prescient passages and obscure interpersonal dynamics in retrospect. I suspect there will be some good arguments had between folks who are most invested. Overall there is a breezier tone in Convergences, Divergences & Affinities than in his first book, and a slightly obsessive search for patterns. 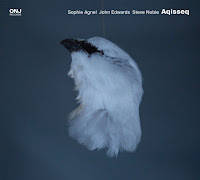 There are moments of political commentary on current events like Brexit and Trump (which Barre draws a sharp parallel between a yearning for a golden age and trends in modern jazz). Another item that pops up on occasion is the looming years of Margaret Thatcher's government and the '"less generous attitude towards the arts ... just around the corner." Foreshadowing I hope! Update: earlier reported Kindle formatting issues have been corrected. Nice review Paul - I really enjoyed this book. Seeing as both of Trevor's books cover a similar period to the John Wickes book, although in a lot more detail (Wickes' book was about British Jazz in general and not just free improv) I would like to hope that someone of Trevor's knowledge and ability might also tackle the 'difficult' years of 1980-87 or all of the eighties period for that matter - a third instalment perhaps? Any suggestions on where to get a physical copy of it? The book can be obtained through my website improvmusic.co.uk. A nice review. Thank you. I am currently trying to resolve the formatting issues that Paul mentions with Amazon. Will post on my site once these are resolved. I was indeed planning a book on the London Musicians Collective, which would have covered the'difficult' years of the 1980s. However, Barry Guy has commissioned me to write his biography, which has now taken precedence. I do hope that I can, in time, do both books full justice. I have resolved the issues with Amazon Kindle. Could you please ensure that this is transmitted to all interested readers. Ta.